Carmel, IN – Is an ARM right for you? Fixed-rate mortgages are certainly the most popular choice for most Carmel, IN home-buyers, but, some borrowers do opt to take out an adjustable rate mortgage (ARM). ARMs were very popular prior to the housing crisis, but, they earned a negative reputation after wards. Many home-buyers found themselves in trouble when they did not understand exactly how the loan worked and couldn’t afford their mortgage payments when rates reset. Depending on your situation, an ARM may be the right choice for some home-buyers, as long as you inform yourself prior to signing on the dotted line. How ARMs work. 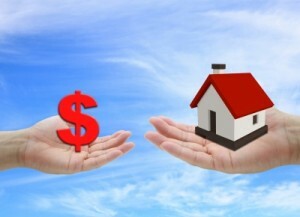 ARMs typically start with a lower interest rate than the current interest rate for a fixed-rate home loan. After the fixed-rate period, an ARM’s interest rate will adjust up or down depending on interest rates at the time of the adjustment. The rate can only adjust at specific times and will only adjust a maximum amount during each reset and over the course of the life of the loan. ARM risks. When interest rates are falling, ARMs are beneficial since your monthly payments can actually drop if rates decline when your loan sets. However, when interest rates rise you run the risk of a larger mortgage payment. Make sure you talk to your Carmel, IN mortgage lender about the worst-case scenario. Why choose an ARM? Although there are risks to borrowing with an ARM, for some Carmel, IN home-buyers an ARM may be a wise choice. Although you are taking on the possible risk of rising monthly payments, significant savings on interest payments can be had. Understanding an ARM is essential to making an informed decision about whether this loan works for you. When you are ready, we would love to help you find your home in Carmel, IN. Please contact a Carmel, IN real estate agent when you are ready to start the process. We hope to speak with you soon and to earn your business!